IB Technology RFID card reader technology has been used successfully for many pre-payment utility metering applications. 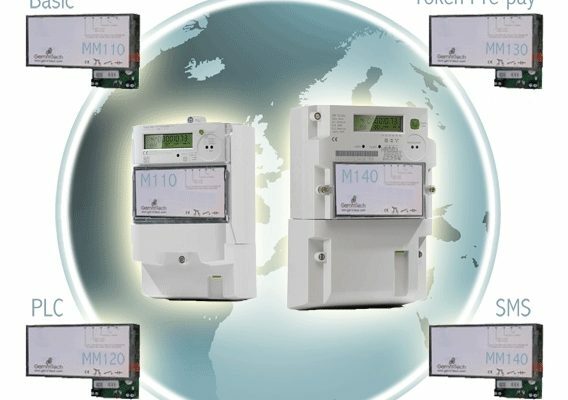 For this particular client, the requirement was for a cost – sensitive ISO14443A Mifare read/write solution to integrate as a module in an existing high – end electricity meter product. The specification called for a small single – board solution, with integrated antenna, that had very low power consumption and a proven record of reliable, robust operation with low EMC emissions for straightforward global approvals. In addition, the communication interface had to be very simple with an efficient and optimised high – level command protocol. Development costs and timescales can rapidly escalate when a new solution is developed to a tight specification. Also, resolving problems, testing, configuration of new antenna designs and the global approvals required (with the possibility of failure and repeated testing) can add many weeks to project timescales and further cost. In addition, the Utility metering mar ket is ver y competitive and the chosen solution must work “out-of-the-box” and have the lowest cost Bill-of-Materials possible and be totally reliable. From the point of decision, only a few weeks were available to produce a custom card Reader solution in order to meet the Marketing goals. The specification called for a small single-board solution, with integrated antenna, that had ver y low power consumption and a proven record of reliable, robust operation with low EMC emissions for straightforward global approvals. In addition, the communication interface had to be very simple with an efficient and optimised high-level command protocol. IB Technology provided the “Reference Design” so the ISO14443A Mifare reader solution was laid out on a custom PCB exactly matching the size and specifications for the Meter unit. The “Reference Design” approach allowed an existing IBT Reader design to be copied, to provide a proven, quick “time-to-market” solution at minimum cost and with minimum engineering effort. The flexibility of the solution also allowed for custom features and commands to be added to the Reader fir mware to optimise for particular applications. Using a solution based on a proven design allowed existing IBT Reader boards and documentation to be used by our client for initial evaluation, testing and integration with their Meter. The IB Technology Reader solution has a dynamic polling algorithm and uses sleep and power-down techniques to give average power consumption down to 100uA (micro Amps) even when fully active and scanning for cards. Documentation for the “Reference Design” and existing solutions allowed for a quick route through the approvals process with the guarantee of success.